They call it the Happiest 5k. They’re not wrong, really. The 5ks I tend to run these days seem to be a grit-my-teeth, push-my-hardest PB attempt or hungover parkrun, which doesn’t always turn out to be fun at all, if I’m honest. Rewarding sometimes, yes, but not necessarily fun. The Color Run is different. (Still hurts my brain to use the American spelling, but I’m soldiering on). You can’t really call it a race – it’s not timed, and there’s not a pacer in sight. This is the second time I’ve done it, the last time was in 2013, the year it first came to Brighton. It’s refreshing, and fun, and silly, and awesome. It reminds me why running is great, something for all the family to get involved with, whatever your ability. Last Saturday it felt like there were a million people all lining up together for a right old jolly, there were no pre-race nerves, no serious elite athletes limbering up and checking Garmins, no judgement, no pressure, no reason not to smile. Families and runners/walkers of all shapes and sizes came to play, (maybe a few too many actually, as it was very crowded for the first couple of kms). I kinda also wish it wasn’t so crowded so that everyone could run through the colour stations rather than shuffle through in an orderly queue, as it’s much more fun getting pelted with colour at full speed, but hey ho. The post-run rave at the end was a delight, as ever, although I realised that sadly I’m no longer down with the kids so didn’t know much of the songs played, apart from the choruses, when I joined in and clapped like they do on Strictly. 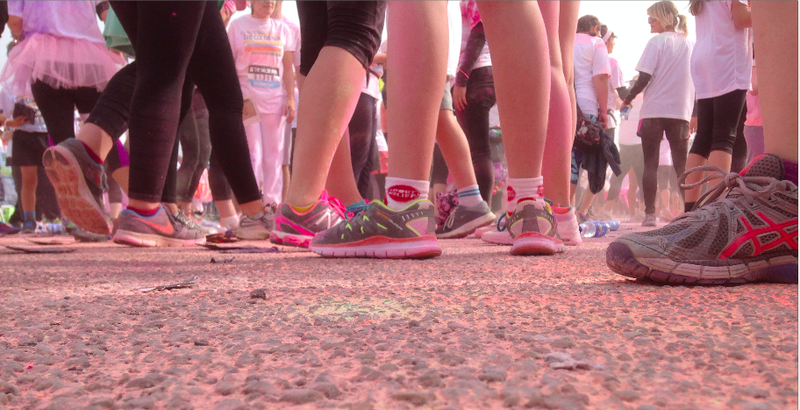 Visit thecolorrun.co.uk to find out more about the events across the country. 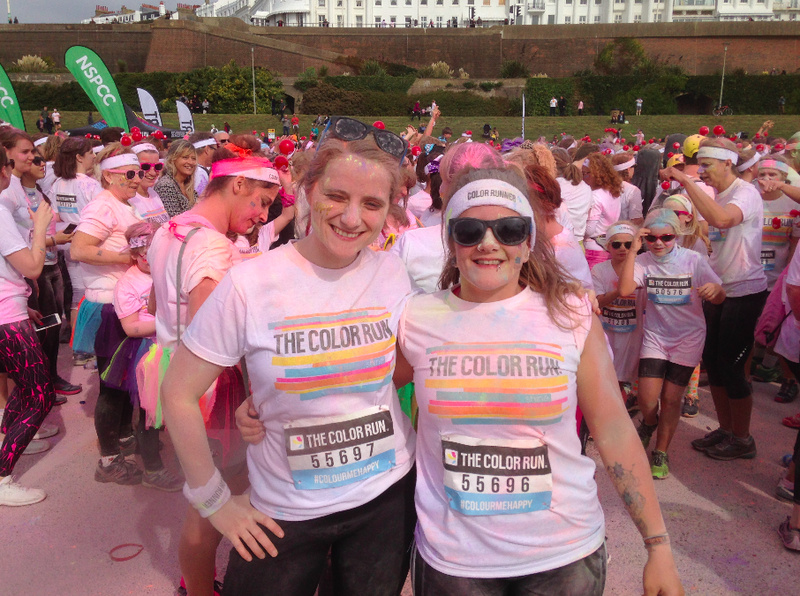 Have you done Brighton Color Run (or another near you)? What did you think?